a. Describe Germany’s aggression in Europe and Japanese aggression in Asia. b. Describe major events in the war in both Europe and the Pacific; include Pearl Harbor, Iwo Jima, D-Day, VE and VJ Days, and the Holocaust. f. Explain the U.S. role in the formation of the United Nations. 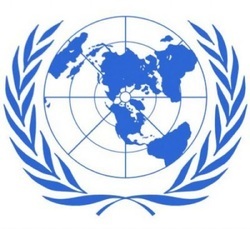 The U.N. began after World War II to help maintain peace and prevent further World Wars. President Woodrow Wilson had attempted to create a similar organization after World War I called the League of Nations. He successfully created the organization, but congress refused to let the United States join and the league quickly failed. The United Nations still exists and is involved in situations around the world at this very moment. To learn more about the United Nations follow the link below.